Read from September 4th to 12th 2014. Like many other readers I guess, I initially thought that Herman Hesse’s Siddhartha would be some sort of biography of Gautama Buddha. Indeed, even the narrative structure seems to lead to Buddha’s teachings: the first part with its four chapters could hint to the four truths and the second part, with its eight chapters to the Eightfold Path. Even when Buddha himself appears as a character in the story, he might for a while be seen as the hero’s double, whom he confronts, denies and finally accepts as his other half. However, this is not it. Siddhartha chooses his own path, refusing to be a follower of the “Illustrious One”. Therefore, the dual structure of the book reveals at a closer view three ages in the hero’s life, each of them completed with an “awakening”, an epiphany: the age of knowledge or of the first truth, in the hero’s young years, the age of experience or of the second and third truth, in his maturity years and the age of the wisdom or of the fourth truth, towards the end of his life. Thus the novel turns out to be, apart a novel of ideas, also a bildungsroman. …and all were not worth a passing glance, everything lied, stank of lies; they were all illusions of sense, happiness and beauty. All were doomed to decay. The world tasted bitter. Life was pain. Siddhartha had one single goal – to become empty, to become empty of thirst, desire, dreams, pleasure and sorrow – to let the Self die. I will no longer study Yoga-Veda, Atharva-Veda, or ascetism, or any other teachings. I will learn from myself, be my own pupil; I will learn from myself the secret of Siddhartha. …Samsara, a game for children, a game which was perhaps enjoyable played once, twice, ten times – but was it worth playing continually? The world, Govinda, is not imperfect or slowly evolving along a long path to perfection. No, it is perfect at every moment; every sin already carries grace within it, all small children are potentially old men, all sucklings have death within them, all dying people – eternal life. It is not possible for one person to to see how far another is on the way; the Buddha exists in the robber and dice player; the robber exists in the Brahmin. It was the easiest way for me, because of the title and the mythical references in the text, to offer bits of Buddhist philosophy as lecture keys. However, knowledge of it is not necessarily required, for in the end, the book simply describes the archetypal quest towards the meaning of the world and the Self. And little by little, page by page, the erudite allusions become less important, whereas Siddhartha’s journey becomes our own journey, touching and forever changing our soul by making us believe, even it is just for a while, that we lifted the Veil and caught a glimpse of the unknown. Read from August 28th to September 4th 2014. Does this mean Brideshead Revisited is inferior to the interwar writings? No, it doesn’t. it is only different. Furthermore, what it apparently loses in originality gains in narrative tension: instead of the literal presentation of the absurd and outrageous, the inner monologue; instead of the objectivity in depicting the social theme of conventionalism, the subjectivity in developing the emotional theme of memory. 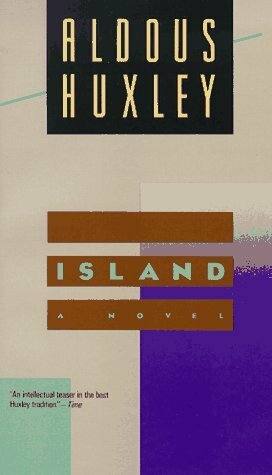 The author seems to return to former literary paths, to rely on the old, good techniques for even though the story is in first person, it never aspires to stream-of-consciousness-like narrative, or to the modernist anti-hero. Something quite remote from anything the builders intended has come out of their work, and out of the fierce little human tragedy in which I played; something none of us thought about at the time: a small red flame — a beaten-copper lamp of deplorable design, relit before the beaten-copper doors of a tabernacle; the flame which the old knights saw from their tombs, which they saw put out; that flame burns again for other soldiers, far from home, farther, in heart, than Acre or Jerusalem. It could not have been lit but for the builders and the tragedians, and there I found it this morning, burning anew among the old stones. I quickened my pace and reached the hut which served us for our ante-room. “You’re looking unusually cheerful to-day,” said the second-in-command. 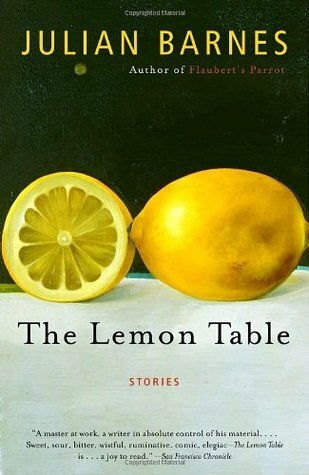 The Brancusian table with twelve seats, eleven of them duly occupied by eleven characters, each of them waiting to take his lemon. The twelfth is forever empty for is forever reserved to the lemons’ distributor – Death. But before leaving with the yellow fruit in hand, each occupant has to tell his story, has to make sense of his life and to acknowledge his place in the world. …he worked at the story until he had it in a form that would please her: simple, hard, true. In fact, the main theme of the book is love, be it creative or procreative. For the retired major Jacko Jackson, who has visited his mistress Babs once a year for twenty-three years, love is a means to escape the dullness of the quotidian: “She was – what was that phrase they used nowadays? – his window of opportunity” (Hygiene) For the 81-year-old man who leaves his wife to settle with his mistress of 65, love is his mutiny against decrepitude but also against the preconception that old means already dead or waiting for dying (The Fruit Cage). Reading, even cooking recipes, is love that slows the falling into Alzheimer nothingness of the beloved one (Appetite). Like most of his life’s writing, the paly was concerned with love. And as in his life, so in his writing, love did not work. Love might or might not provoke kindness, gratify vanity, and clear the skin, but it did not lead to happiness, there was always an inequality of feelings or intention present. Such was love’s nature. Each of the eleven stories in the volume is about love in one sense or another. In each one of them, love is sought to escape time. Each stool around Brancusi’s table has the form of an hourglass. However, there is no sand dripping the time. The occupants are gone; their voices are but vague memories, their individuality already forgotten. But the seats are there, frozen into eternity. They will continue to speak about love, and suffering, and human imperfections and of death as not the end of all things as long as someone will listen to them. Like Barnes’s book does.